The highly talented team of our organization offers Wooden Jharokha of fine quality. It can be used as a decorative item and is highly appreciated for its fine carving, smooth polish and long lasting durability. These are available in different sizes and designs and can be customized as per the requirement of the clients. Fine Decorative Wooden Jharokha Available In Different Designs & Sizes. 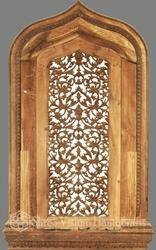 We are instrumental in offering a premium range of comprehensive range of Designer Wooden Jharokha. We are highly acclaimed in this industry for providing an optimum quality range of Fiber Jharokha. 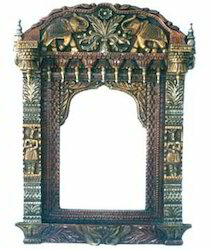 We are manufacturer and wholesale supplier of wooden indian jharokha. We are having huge varieties of jharokha. we are having experience articians which make us confidence to serve you best. we are working on very competitive price to gain long term relationship and trust.